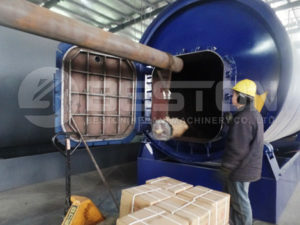 Firstly, we utilize tire pyrolysis equipment (also called tyre to oil plant) to extract oil from waste tyres. The oil can be used as fuel material in many industries; the tyre pyrolysis oil market price is quite high in the market, which will surely earn great profits for you. In this step, we can also get another two products, carbon black and steel wire. After processed by the pyrolysis unit, the tyres are converted into fuel oil. 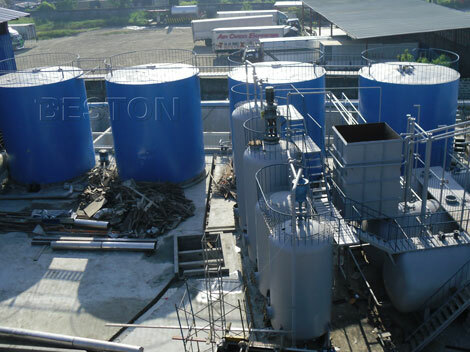 To make the oil have wider applications and high value, we have developed the waste oil to diesel plant (also called pyrolysis oil to diesel machine, waste oil to diesel machine or waste oil distillation plant). Having introduced advanced distillation technology, the plant can successfully transfer the tire oil into high-quality diesel oil. The diesel from tires can be directly used in low speed engines, such as digging machine, road roller, loading machine, etc. The price of the diesel oil is higher in the market. 1. 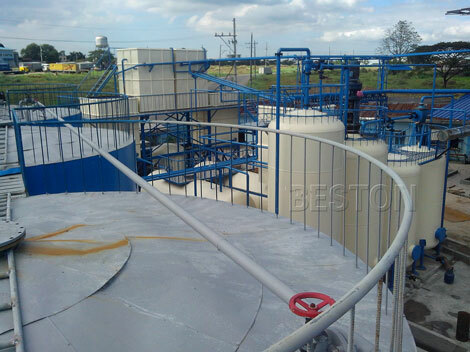 The tyre oil to diesel plant can not only deal with waste tyres, but also can dispose waste plastics, rubber, oil sludge and medical waste into fuel oil, diesel oil, and gasoline. 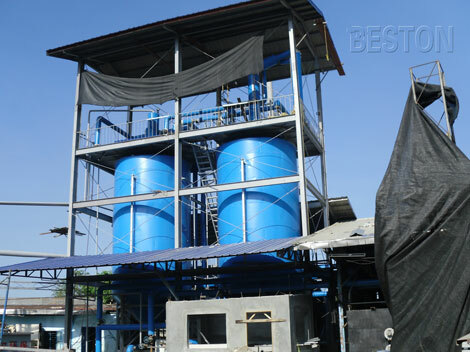 The latter distillation machine can also handle various waste oil materials, such as crude oil, washing oil, used fuel engine oil, etc. 2. 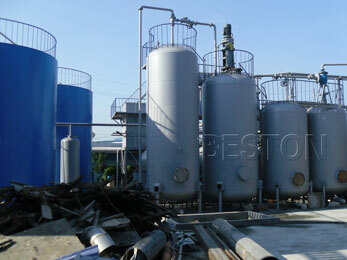 After processed by the waste oil to diesel plant, the diesel is quite clean and doesn’t has any residue or abnormal smell. 3. We have designed the plant into two operating systems, batch system (including capacity 6-10t/d) and continuous system (including capacity 25-100t/d) available for you to opt. 4. Each set of the tyre oil distillation plant is certified by CE and ISO. The complete set of unit produces no smoke and smell, which is favorable for environmental protection. 5. The plant is equipped with safety valves, such as auto alarming system, anti-explosion valve, which will guarantee 100% safety. 1. 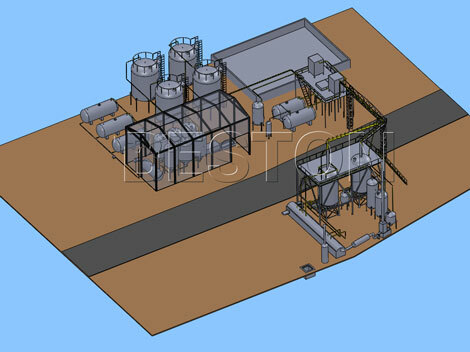 Pre-treatment device for raw material: tyre oil is fed into refinery boiler after pre-treatment. 2. Refinery system: heat the tire oil to working temperature by using fuel oil, gas, coal and so on. In the meanwhile, there are stir system and heat preservation system. 3. Cooling system: cool the gaseous hydrocarbon into diesel. 4. Interim storage system: base oil and diesel after cooling are stored here, and then drop into oil tank. 5. Vacuum system: to meet the process required. 6. Filter system: rapidly filter mechanical impurities in the diesel produced, and got qualified diesel. First of all, put the tire oil in the reactor of Beston waste oil to diesel plant for further process; Secondly, heat oil in non-oxygen environment, which will start to boil and evaporate; Thirdly, let those vapors go through a cooling pipe and the vapors will condense to liquid and some of the vapors with shorter hydrocarbon lengths will remain as a gas; Fourthly, the exit of the cooling pipe is then going through a bubbler containing water to capture the last liquid forms of fuel and leave only gas that is then burned; Finally, this kind of oil will be piped into deep purifying system with acidity and alkaline cleaning device as well as pressure filtering system. Then we will get qualified diesel oil.